Please contact me if you are interested so I can order more PCBs from OSHpark! This is an ESP8266 WiFi module breakout. 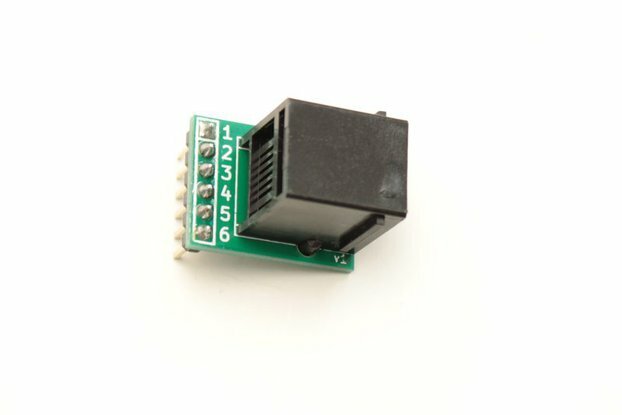 It includes a 3.3V regulator, a logic level converter, and programming and reset buttons. On the bottom it has headers that can plug into an FTDI programmer and upload programs, or run using the AT commands from an Arduino. This product comes as a kit that requires soldering or you can purchase it fully assembled. I designed this breakout board kit for an upcoming electronics camp I am running. 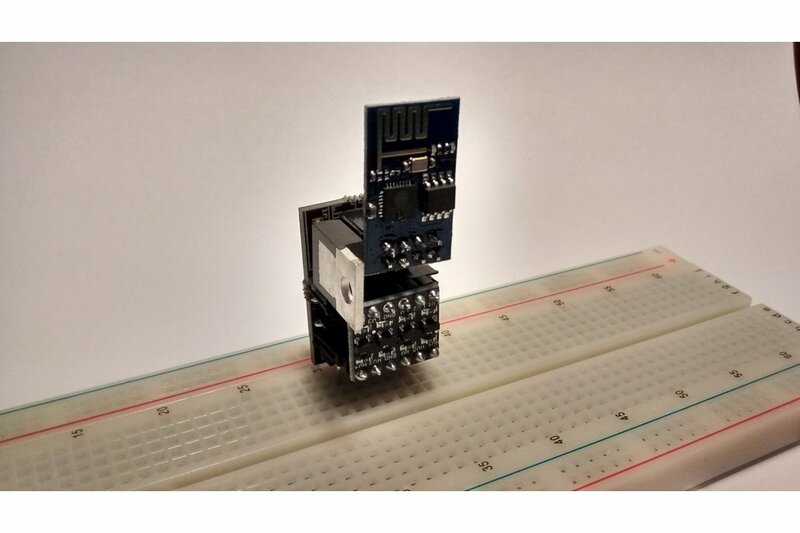 The ESP8266 requires a few parts to get it working, and this breakout board simplifies that. It also allows the ESP8266 to run on its own with no additional microcontroller. 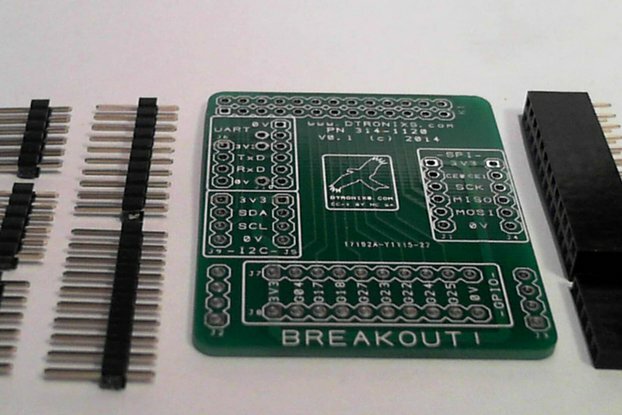 Since the breakout board comes as a kit, you can customize it to your needs. It is small and compact, and does its job well. If you need a simple ESP8266 breakout, this is your kit. Nice little dev board for esp8266-01. I found this little board on Tindie to program and power my esp8266-01 directly from the USB-UART cable. It works well, as described. For those who want to solder it themselves: it does need decent soldering skills. The capacitor is right above the switch below, so it needs to be soldered with its legs almost flush with the PCB on the other side. The TTL logic board needs to be connected using the headers, since the capacitor blocks it otherwise. Note: The "tx" and "rx" on the board are reversed, in the sense that when connecting to a UART or FTDI cable, you'll have to connect Tx->Tx and Rx->Rx (The normal convention is to connect Tx->Rx and Rx->Tx).